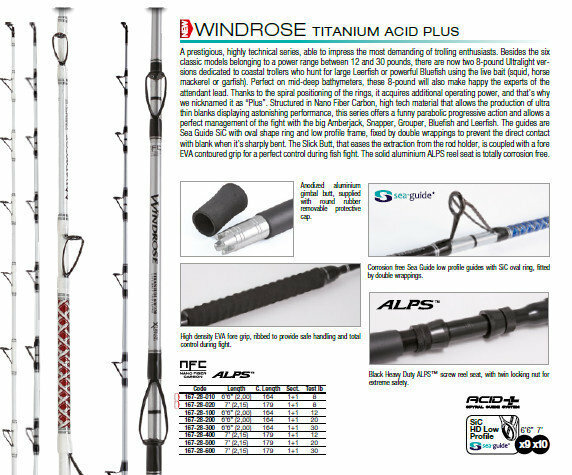 Windrose Acid Live 702 rated 8lb tc ( white) 20lb class . 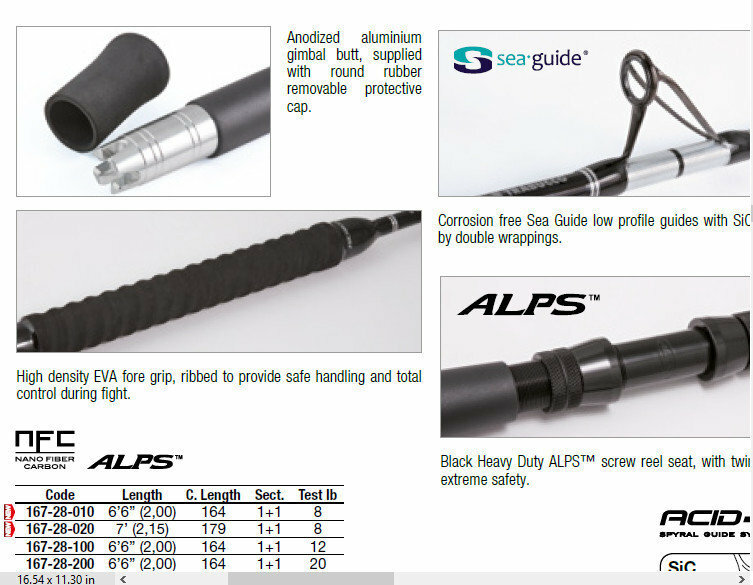 for shark , heavy ray and heavy bottom fishing. dedicated to coastal anglers who hunt for large fish using the live bait for shark, conger and large rays.
. Perfect on mid-deep fishing , these 8-pound will also make happy the experts of the bottom style of fishing. Thanks to the spiral positioning of the rings, it acquires additional operating power, and that’s whywe nicknamed it as “Plus”. Structured in Nano Fiber Carbon, high tech material that allows the production of ultra thin blanks displaying astonishing performance, this series offers a funny parabolic progressive action and allows a perfect management of the fight with the big Mediterranean Amberjack, Snapper, Grouper, Bluefish and Leerfish. 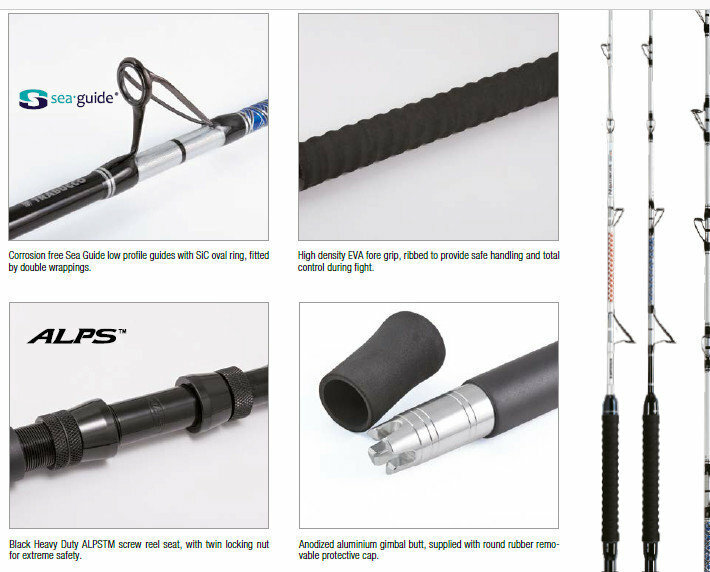 The guides are Sea Guide SiC with oval shape ring and low profile frame, fixed by double wrappings to prevent the direct contact with blank when it’s sharply bent. 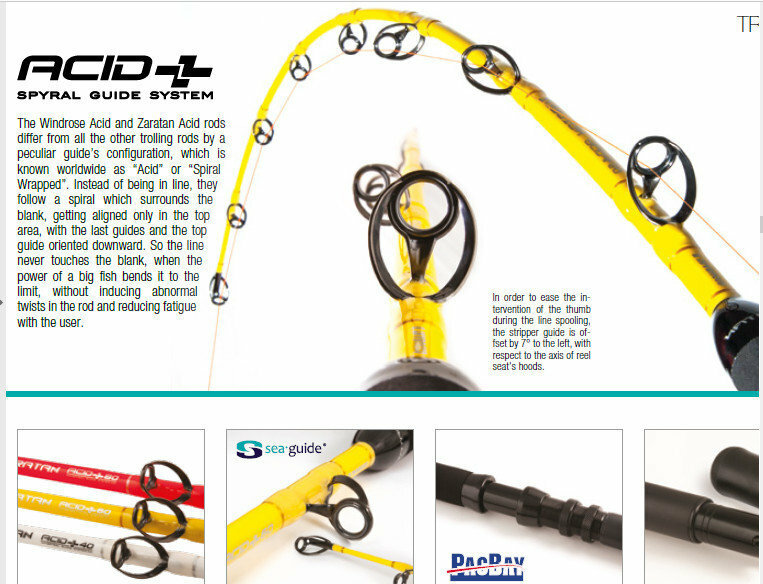 EVA contoured grip for a perfect control during fish fight. 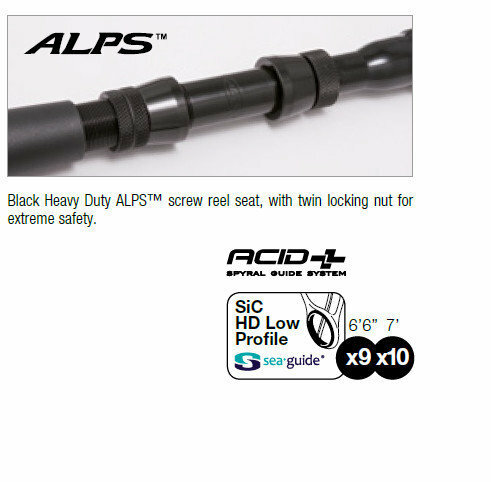 The solid aluminium ALPS reel seat is totally corrosion free.